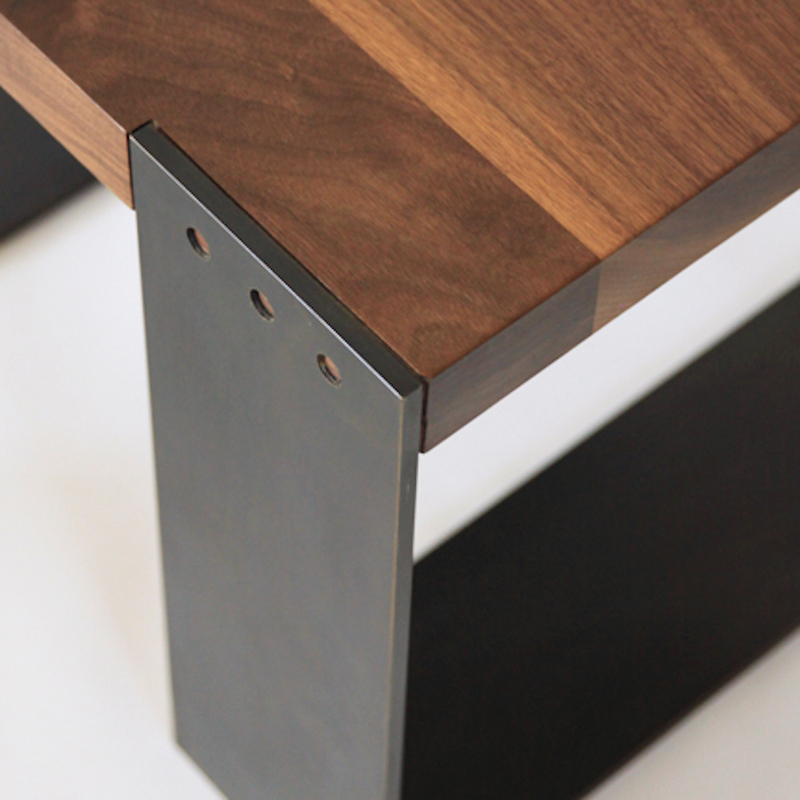 Annie is a minimalist functional sculptural object that challenges the concept of a table as we know it by standing on it’s own two legs. 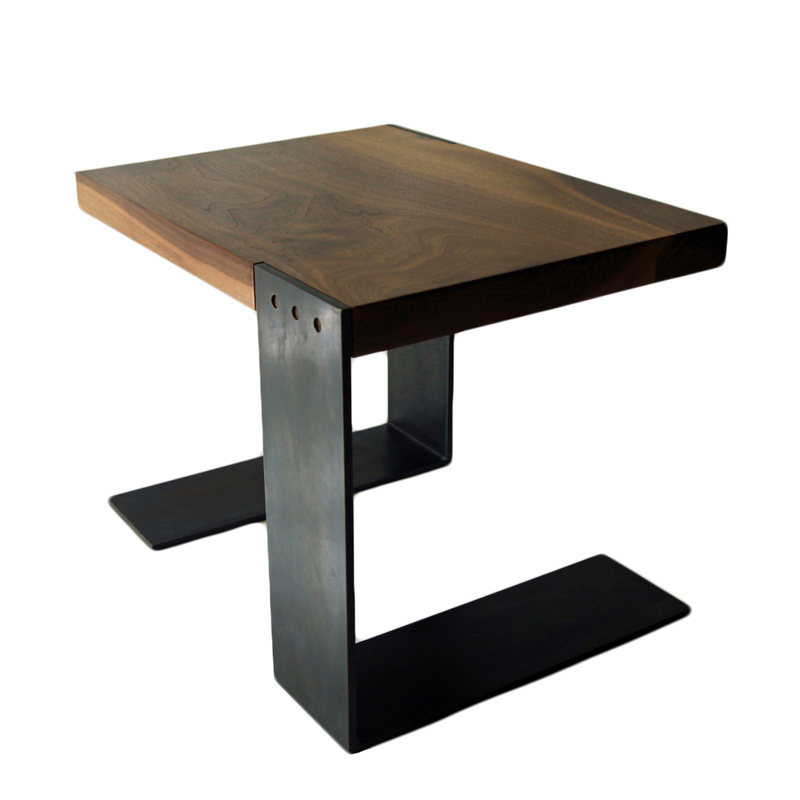 Made of solid walnut and cold rolled bronze plated steel, the design lets the subtle beauty of the materials speak for themselves, while it remains playful in the one and only detail in the whole piece; the connection between the natural and the man made. Dimensions: H 18" x W 24" x D 18" Top 2"